Are you in the market for a vacation condo in Kihei, Maui? While some are listed for more than a million, like this unit at Royal Mauian, others are less than $500K. These properties all come equipped with the Maui lifestyle and are just steps from the beach. If you’re considering a property in Maui’s sunniest, beach-lined town, you’ve come to the right place. Below are 5 vacation condo complexes in Kihei, each with at least one unit for under $500K. Boasting some of the most affordable one-bedroom units in Kihei, Maui Vista is just across the street from Charley Young Beach. With three buildings containing 280 units in total, this complex offers three swimming pools and six tennis courts. For one of the most affordable options in Kihei, Maui Vista is hard to beat. Recently under contract, this unit listed at $388,000 is still available to show. Oceanfront Maui for under $500,000? That’s right. This ground floor unit at Luana Kai listed at $445,000 is ideal for those who prefer the quiet North Kihei location. With a refreshing swimming pool to lounge by at the center of the complex, Luana Kai has direct access to the beach. Owners, residents, and visitors can enjoy the luxury of walking from their unit through adjacent Waipulani Park to the ocean. With one of the highest walkability scores on this list, Kihei Akahi is central to a variety of shops and restaurants. In addition, this 4-building complex is directly across the street from Kamaole Beach Park II, one of the nicest and most swimmable beaches in all of South Maui. While building A is the closest to the sand, buildings B, C and D offer a convenient location without road noise. For an ocean view from the top floor of building D, check out this unit listed for $489,900. Located just next door to Kihei Akahi lies Maui Banyan. This complex has the same great location and each unit here offers two full bathrooms, making it popular with families. With two pool areas in a resort-like setting at Maui Banyan, this unit listed at $485,000 is the only option currently available for under $500K. If you desire the Wailea resort feel without the hefty price point, look no further than Kamaole Sands. 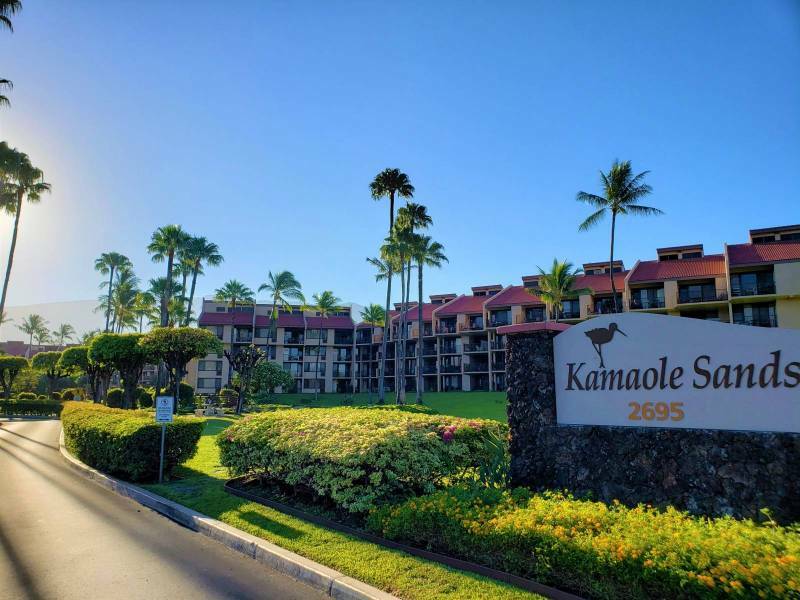 This 440-unit complex offers beautifully landscaped grounds, a superb South Kihei location across from Kamaole Beach Park III and poolside Mai Tai parties. While prices at this highly desirable complex have risen, you can still find some options for under $500K like this unit listed at $464,000. If you would like additional information pertaining to these properties, I would be happy to answer your questions. If you are interested in learning more about residential condos in Kihei, check out my Top 5 Kihei Condos Under $400K. Mahalo for reading!